The health and safety of your staff and customers is paramount. 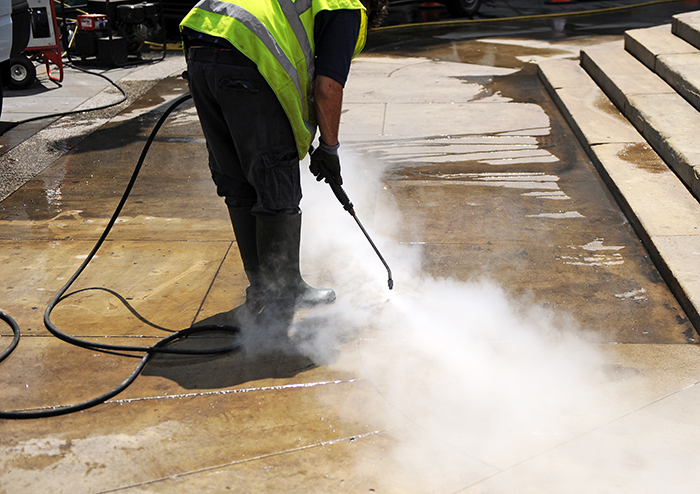 Whether it be from physical risks such as cracked paving stones, or more subtle dangers like food contamination, maintaining a clean and safe workplace is essential. Many of our clients recognise the importance of regular cleaning, and have a maintenance contract with us to carry out these all-important tasks on a regular basis. The timing of these jobs can vary from annual to bi-monthly depending on the client. Each business is different, and unique requirements and assessments provided by our specialist teams can determine the intervals. In some cases, the timing is dictated by the client’s production shut-downs and to a lesser extent budget allocations at the end of the financial year. A large shopping mall contracts us to maintain their property in various ways. Once a year we provide services to remove chewing gum from footpaths and clean the roof. Every six months we fully wash down the building and clean all the drains. We also provide a weekly gardening team for all the landscape plants, shrubs and road edging. This team is also responsible for rubbish pick-up and disposal and this is checked on a daily basis and actioned if necessary. This is a great example of scheduled maintenance that keep your premises looking in top condition, from yearly cleaning, right down to daily rubbish checks. Scheduled and thorough cleaning is never more important when it comes to food hygiene. A major food distribution company relies on us to clean and scrub all the floors in the despatch areas and loading bays every six months. On top of that, once a year we provide a full site clean-up and building wash. 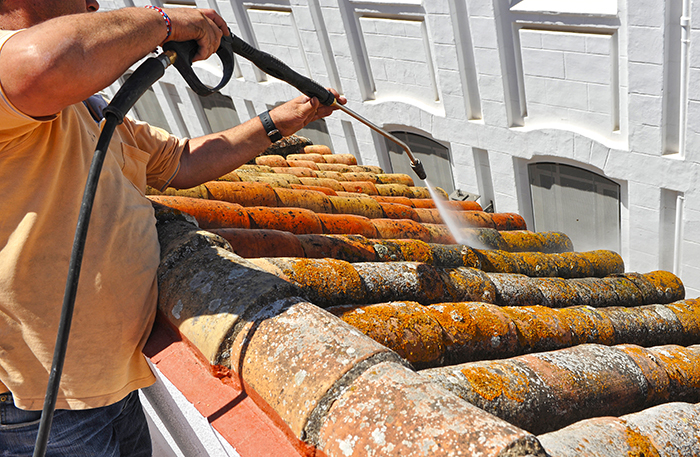 The gutters are checked by us every six months and cleaned if necessary. This is where regular cleaning is essential. It is amazing how much rubbish can build up in the gutters in such a short period of time. 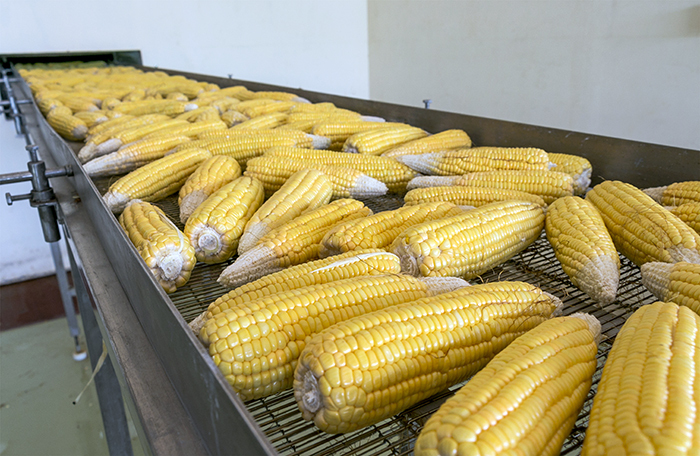 Unfortunately, out of sight means out of mind, and if allowed to fester these harmful pathogens can contribute to potential issues with plant audits. One of Unique’s oldest customers is a major retirement village and health care provider. Everyone of their complexes in the Auckland area is scheduled in for an annual exterior building wash and clean. This work includes a full moss and mould treatment of all roofing areas. Less well known is that we supply nightly cleaning services for a number of food processing plants. By hiring us to clean at the end of the day, these companies alleviate their staff of doing all the dirty work. But it’s not just a reason to be nice to employees. Staff members aren’t professional cleaners, and at the end of a long, hard day, people just want to get home. This understandably results in a hasty approach to cleaning, leaving areas missed and a build-up of biofilm. This approach can leave a plant open to risk during an audit. Our programmed work is geared towards giving our clients the most cost effective solutions along with total peace of mind. This results in knowing that cleaning and building maintenance can be carried out in conjunction with planned shutdowns and audits as well as cash flow management. When it comes to industrial cleaning, building maintenance or food plant sanitisation, there is no other business more experienced, prepared or professional to call than us. Managing all of the above scheduled work requires an extremely good office support team and Tracy, Johanna and Alzaria do a brilliant job. Give us a call today and put us to the test. We promise you won’t regret it.